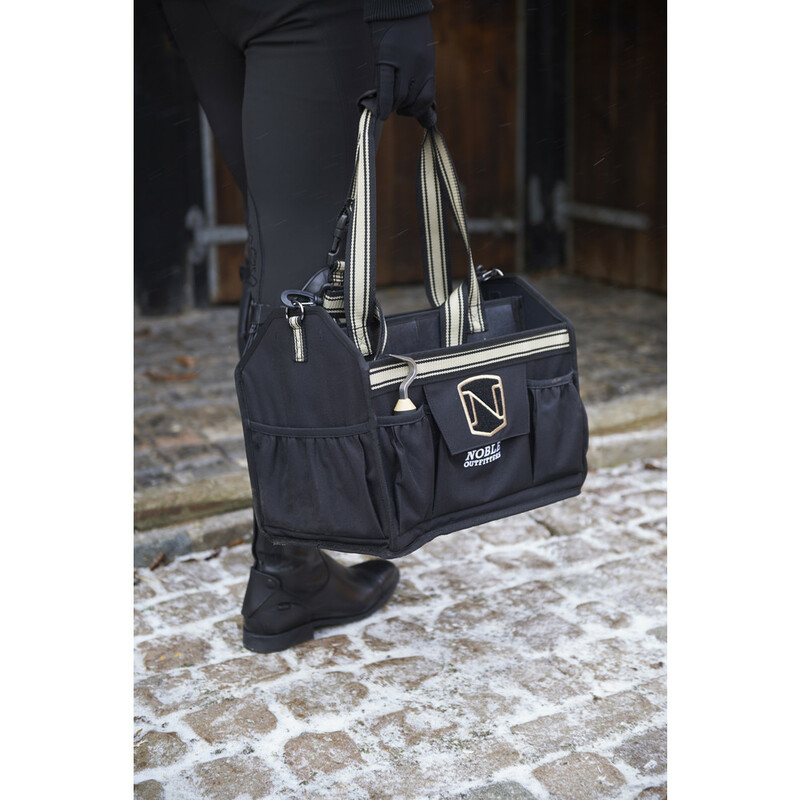 If you're struggling to carry your grooming products, then EquinEssential has created a bag made that's perfect for grooming at the stable or on the go. 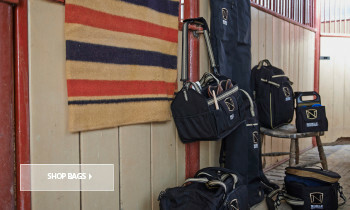 This bag has been designed with equestrian grooming in mind. 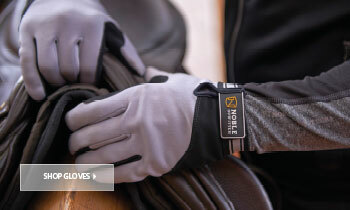 The bottom of the bag is made with a heavy-duty mesh. 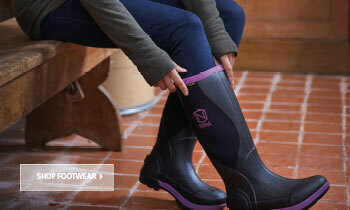 This means liquids, dust and dirt particles will fall out easily, keeping the bag clean and dry. Plus the separated pockets are perfect for organising and carrying lots of different products while still being able to find them easily. No more rummaging around at the bottom of your bag for a particular brush! The tote bag has been made with a canvas fabric and has a water-repellent finish to keep products dry, ideal for rainy conditions or if you're at an event. Plastic is used in the interior to make it quick and simple to clean after use. 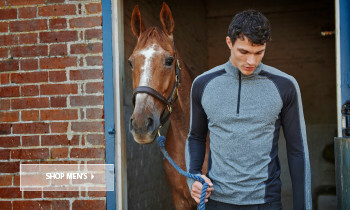 It comes in multiple colours, but this traditional black and tan scheme will match perfectly with tan jodhpurs. 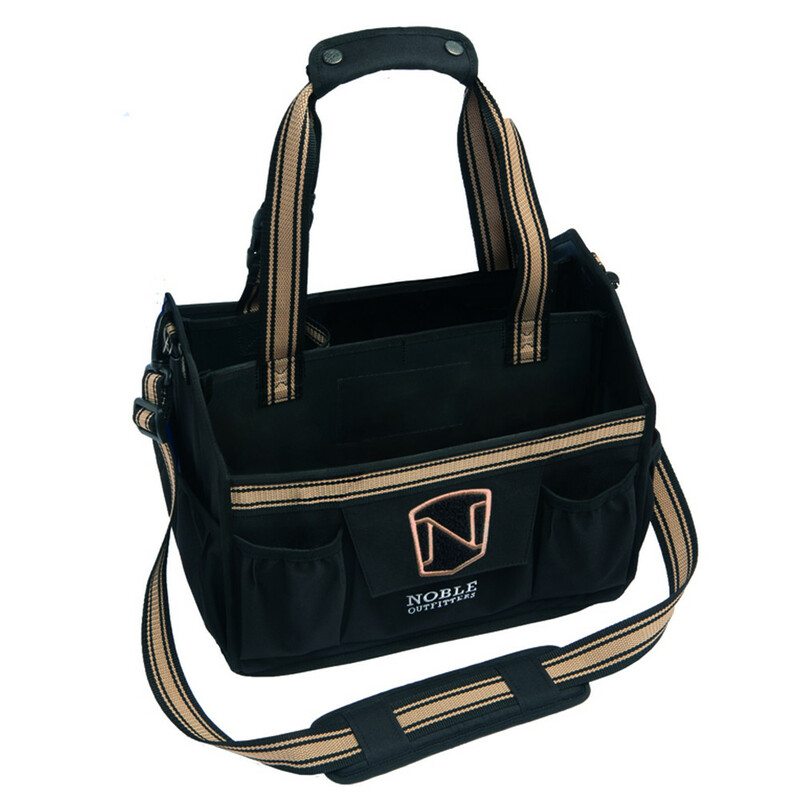 It features a removable shoulder strap for hands-free carrying and is attached with sturdy Duraflex clips. This means the bag can be hung up without risking straps or clips breaking and will keep the bag clean from muddy floors and fields! Made from Durable 100% polyester canvas fabric. Size is 10”x 12” x 15”. Finished with a water repellent spray. Multiple separated pockets for organisation. Duraflex® quick clips to hang your bag anywhere safely.